Fourth graders fought to master returning a serve. 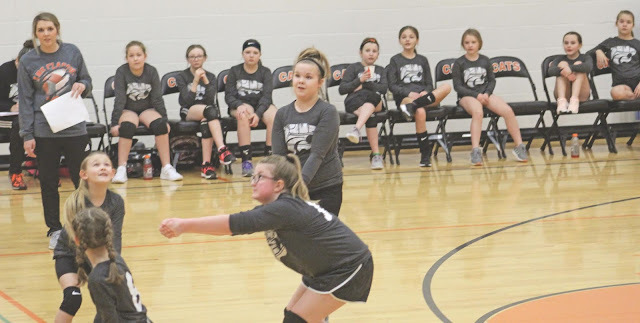 Licking Elementary volleyball competed against Houston on Tue. March 12 at the FEMA gym. 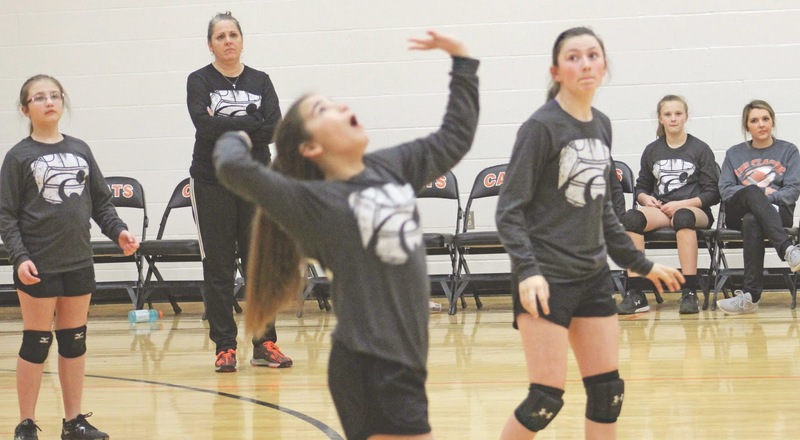 The fourth, fifth and sixth grade teams honed their skills, with Wildcat volleyball dreams encouraging them onward. 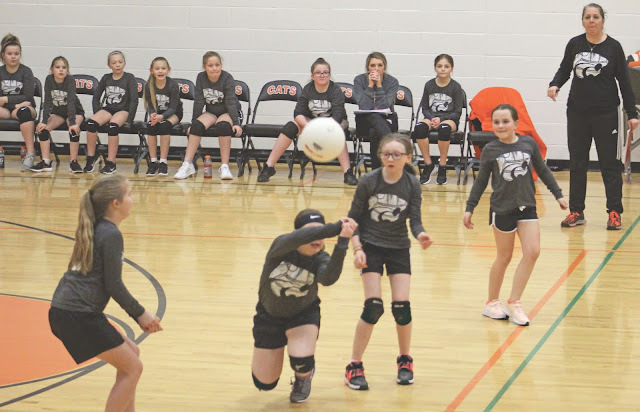 From a spectator’s point of view, the fourth grade games were all about good digs and good serves. These fundamentals carried the Licking girls to a win. The fifth graders mixed in some overhand serves and set the ball a few times, as well. The gains made in a year’s time were impressive. 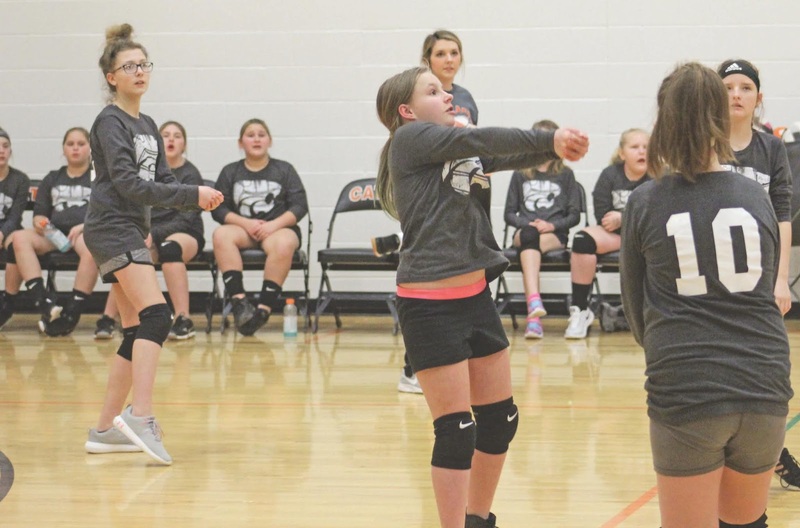 When the sixth graders took to the court, the crowd was able to see what the culmination of the previous years had wrought. A few spikes were shown, the ball was returned more often, and serves were much more consistent. 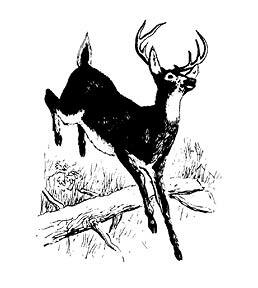 The basics were all there. As they grow and practice their skills, their strength and coordination will improve along with their mastery of the sport. 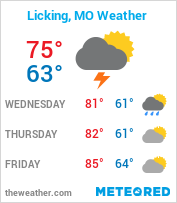 Look out Missouri Class 3, the class of 2025 is on its way. Fourth graders keep their eye on this serve. Fifth grade works together to score. 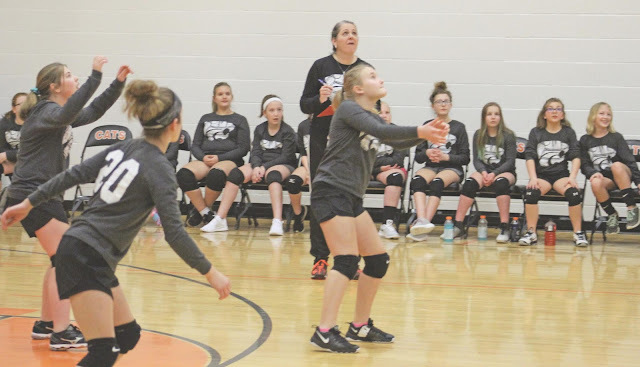 Another good dig by fifth grade players. The sixth grade added components to their game, like this spike.